INDIE EXCLUSIVE limited run edition pressed on BLUE vinyl. Comes in a gatefold sleeve, and includes a download card and poster. Standard edition pressed on white vinyl. Comes in a gatefold sleeve, and includes a download card and poster. 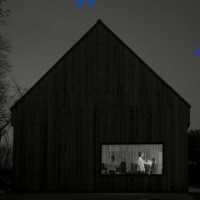 The National return with their much anticipated seventh album, produced by Aaron Dessner, with additional production by Matt Berninger and Bryce Dessner. The album was mixed by Peter Katis and recorded at Aaron’s Long Pond studio in Hudson Valley, NY. While in some ways it’s typically National-sounding, they’ve definitely added some new elements to their sound. Opening track “Nobody Else Will Be There” is a stripped back ballad with melancholic piano, and Matt’s distinct vocals, but the electronics pulsing away in the background are a sign of what’s to come with the album. All the usual elements are there, intricate guitars, delicate piano keys, scatter-shot drums and of course Matt’s mumbling/crooning baritone, but a new layer of electronics bubbling away in the mix adds a new dimension to their sound. As with the last couple of albums, it features mostly fairly downtempo ballads but they do ramp things up from time to time: “Day I Die”, “They System Only Dreams In Total” and the big rock-out track of the album, “Turtleneck”. It’s taken a few listens to get into it, but as a fan I’m certainly not disappointed.